Researchers at the University of Arizona Mel and Enid Zuckerman College of Public Health have received a five-year, $2.98 million grant from the National Institute of Environmental Health Sciences to reduce exposures to hazardous chemicals in the workplace. 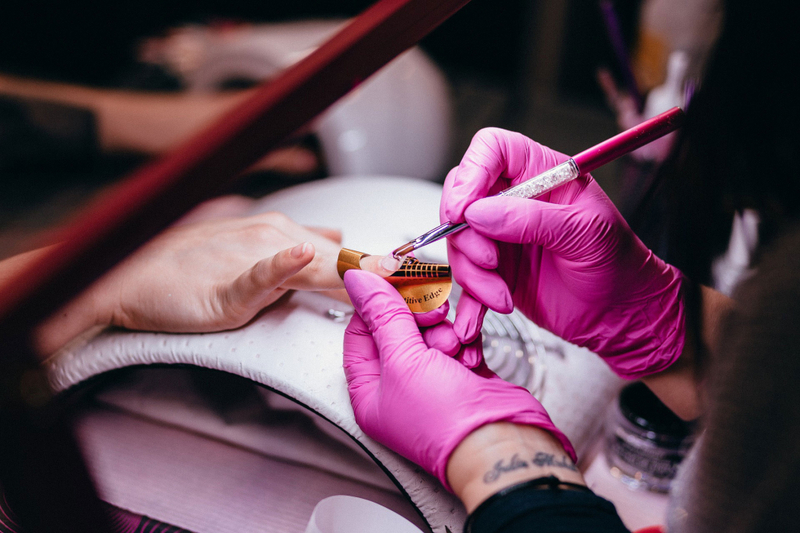 The study will focus on two high-risk industries on the south side of Tucson that employ primarily Latino workers – auto repair shops and beauty salons. The team will work in collaboration with El Rio Community Health Center and the Sonora Environmental Research Institute Inc., both longtime partners of the UA Zuckerman College of Public Health. The Bureau of Labor Statistics reports a 22-percent increase in fatal work injuries by exposure to harmful substances or environments in the 2016 National Census of Fatal Occupational Injuries, released in December. Many small businesses use solvents, including volatile organic chemicals associated with asthma, cancer, cardiovascular and neurological diseases. The new study will involve training community health workers – members of the community who provide basic health education – to identify hazardous chemicals in auto repair shops and beauty salons, and to work with the businesses to design and implement controls to reduce exposure. The project will determine if face-to-face interaction with community health workers increases the capacity of workers with marginalized status, limited education and reduced access to health care to understand workplace hazards and effective control options to reduce exposures and prevent occupational disease. “Ultimately, by reducing workplace exposures at the source, we may also reduce air pollution in these neighborhoods and impact the surrounding community’s health,” Dr. Beamer said. Dr. Beamer’s research focuses on understanding how individuals are exposed to environmental contaminants and the health risks of these exposures with a special focus on vulnerable populations, including children, low-wage immigrant workers, Native Americans and individuals in the U.S.-Mexico border region. Dr. Beamer, who is president-elect of the International Society of Exposure Science, says the ultimate goal of her work is to design more effective interventions and policies for the prevention of avoidable cases of certain diseases, such as asthma. The partnerships with the Sonora Environmental Research Institute and the El Rio Community Health Center are critical to the success of this project, she said. During the past 20 years, the institute has established a community health worker program focused on environmental health, including pollution prevention by small businesses, which was highlighted in the Good Neighbor Environmental Board’s report to the president and Congress on Innovative and Practical Approaches to Solving Border Environmental Problems, 2009. The Sonora Environmental Research Institute started its pollution-prevention business program in 2008 with a grant from the Environmental Protection Agency. The study was co-led by Eric Betterton, PhD, distinguished professor and head of the UA Department of Hydrology and Atmospheric Sciences. During the three-year project, from 2008 to 2011, the community health worker-led pollution-prevention program reached 642 small and home-based businesses. Program activities included technical training for community health workers and businesses, generation of culturally and language-appropriate educational materials, and face-to-face peer education through frequent on-site visits. Dr. Beamer’s project will build on this foundation by adding industrial hygiene and health-promotion expertise, along with an assessment of exposure reduction. The El Rio Community Health Center will provide health screenings to small-business employees, ensuring they are connected to health-care services and emphasizing the importance of health promotion in the workplace. After gathering information about the businesses and measuring exposures, the team will work with the business owners, employees, community health workers and trade groups to design an intervention focused on reducing the sources of dangerous workplace exposures. Then they will implement the intervention in a formal clinical trial, evaluate its effectiveness and identify factors that led the businesses to use exposure control strategies. Working with Dr. Beamer on this occupational exposure study is a multidisciplinary team from the UA Zuckerman College of Public Health: Melanie Bell, PhD, professor of biostatistics; Scott Carvajal, PhD, MPH, professor, health promotion sciences; Maia Ingram, MPH, program director, community based evaluation projects; Nancy Johnson, CEO, El Rio Community Health Center; and Ann Marie Wolf, president, Sonora Environmental Research Institute Inc.
About Sonora Environmental Research Institute, Inc.